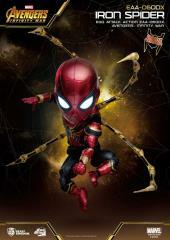 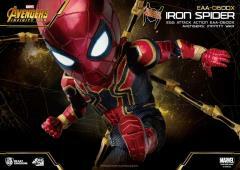 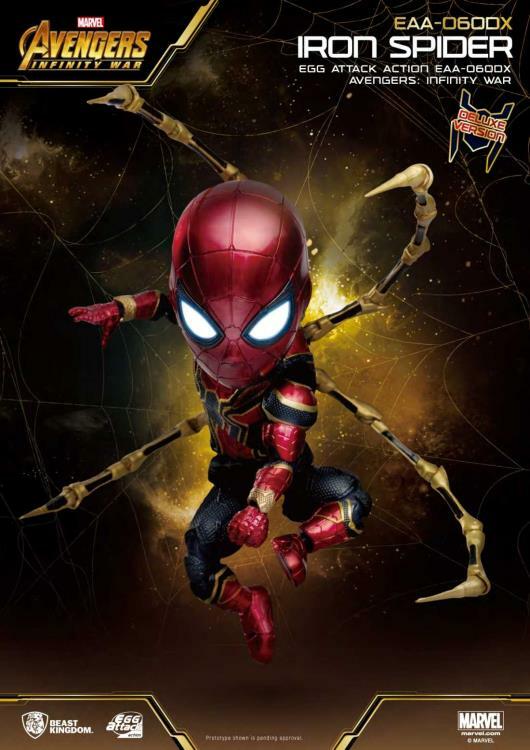 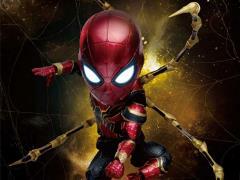 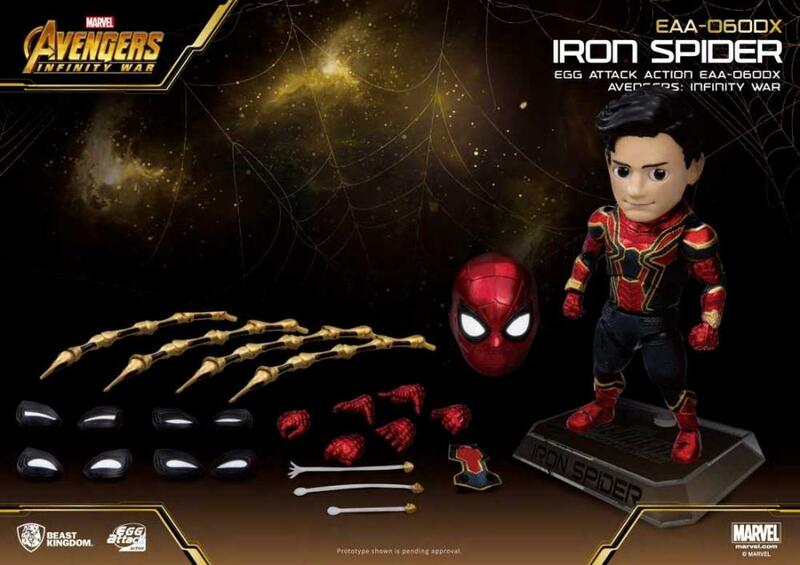 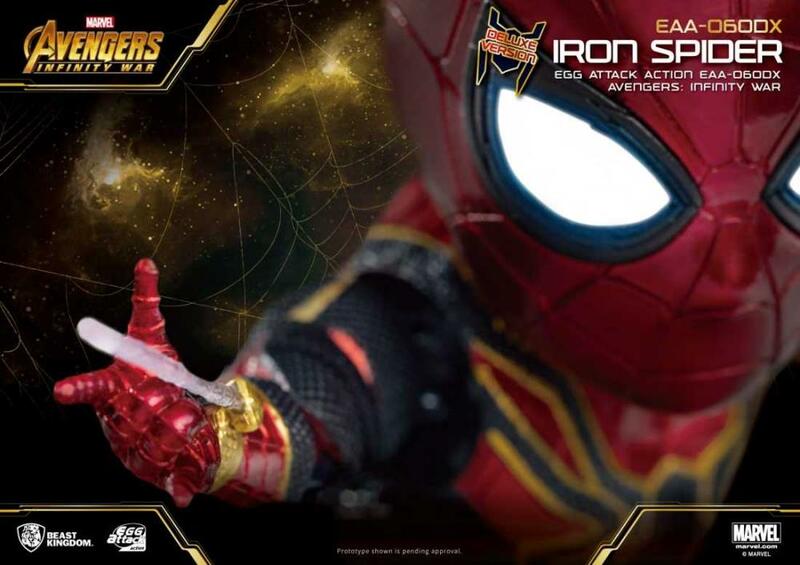 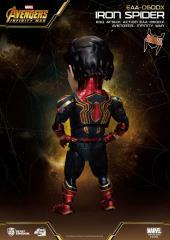 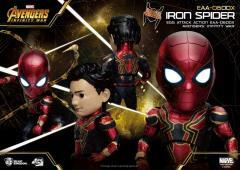 Beast Kingdom is proud to present the Egg Attack Iron Spider based on the costume developed Tony Stark for the on-going fight with Thanos! 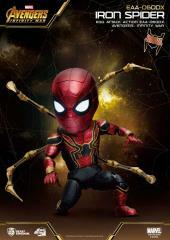 Suit up with highly detailed metallic paintwork and new highlights on the posable spider-legs. 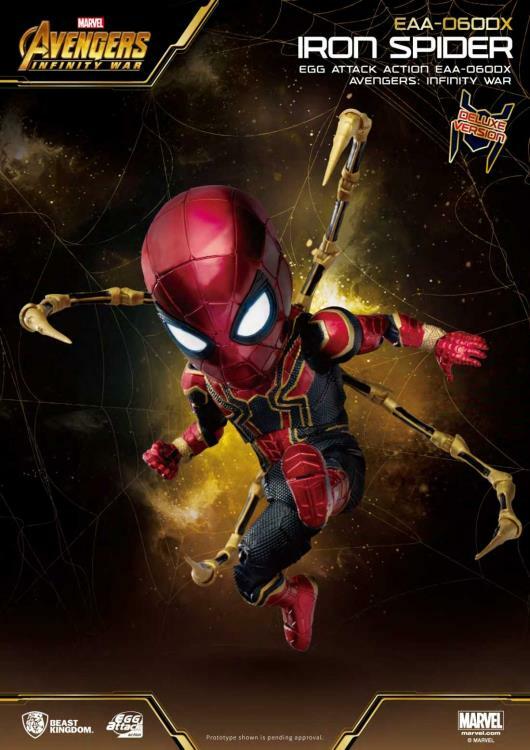 The replacement back armor and multiple hands with added webs allows Iron-Spider to reach for the skies or maybe even space if need be! 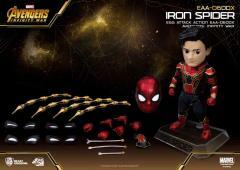 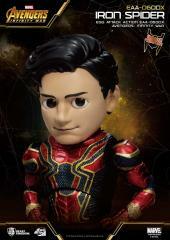 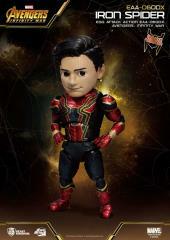 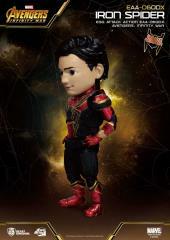 He features 25 points of articulation and swappable Peter Parker head, as portrayed by Tom Holland. 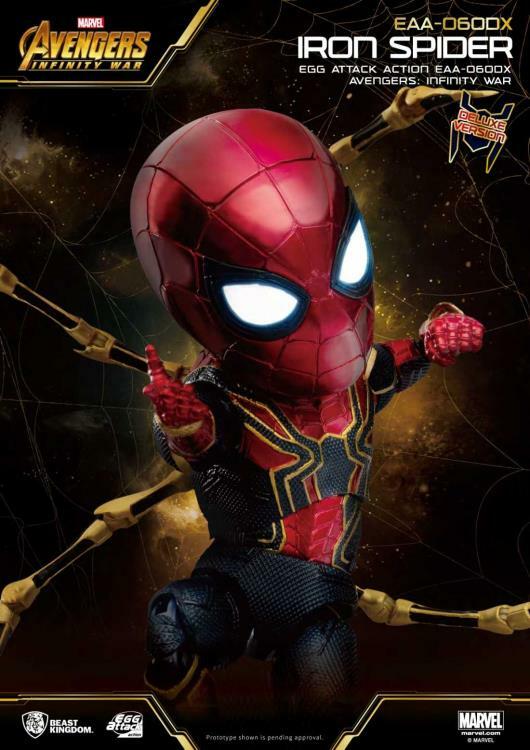 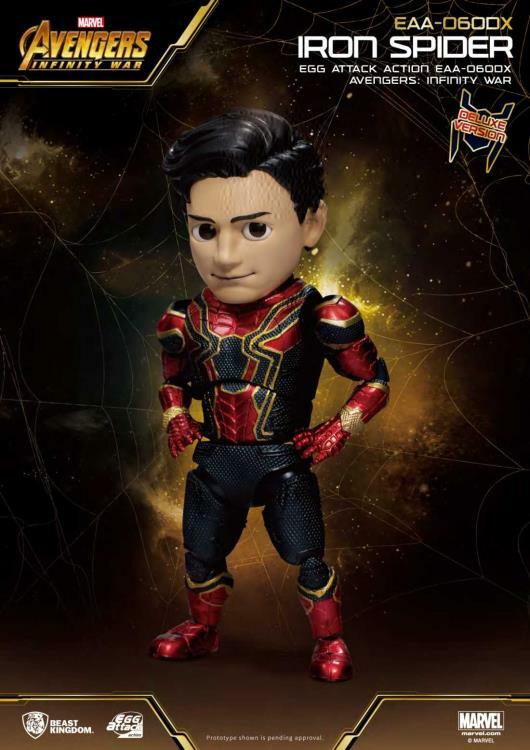 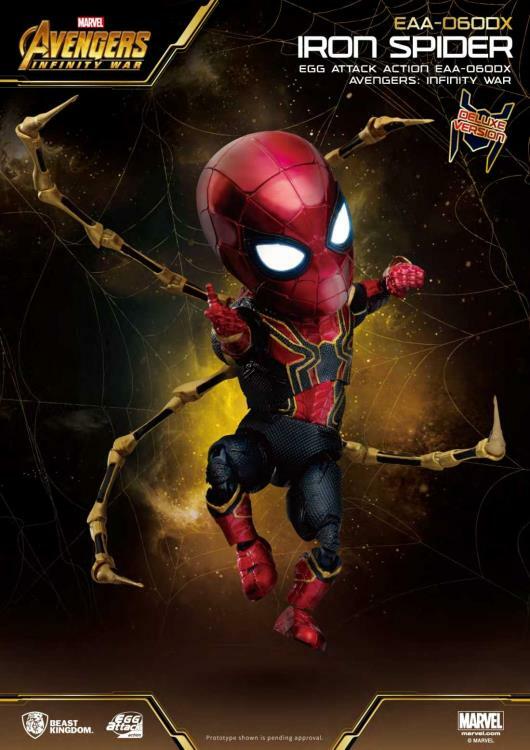 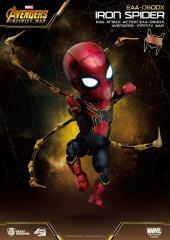 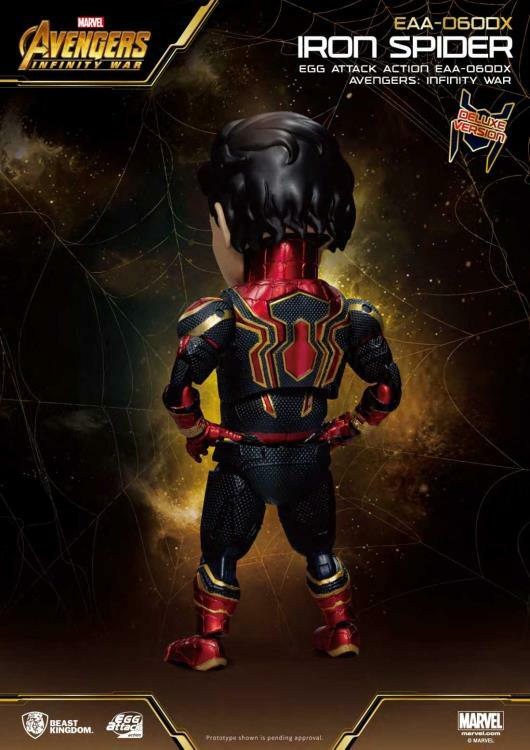 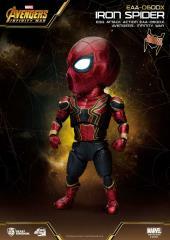 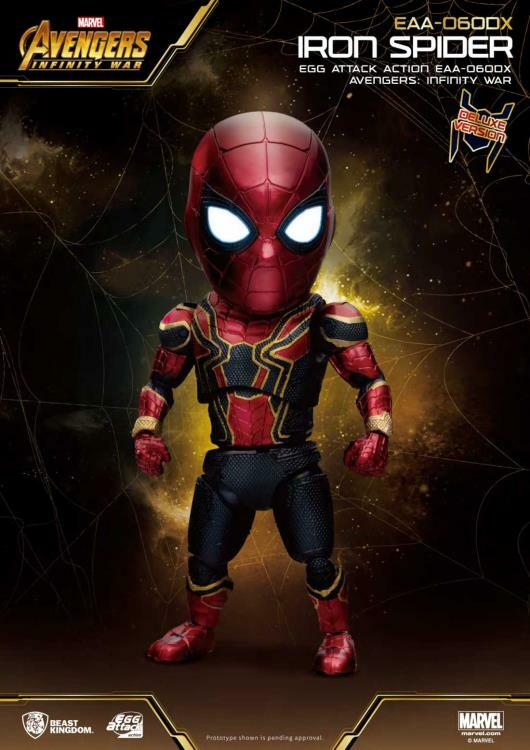 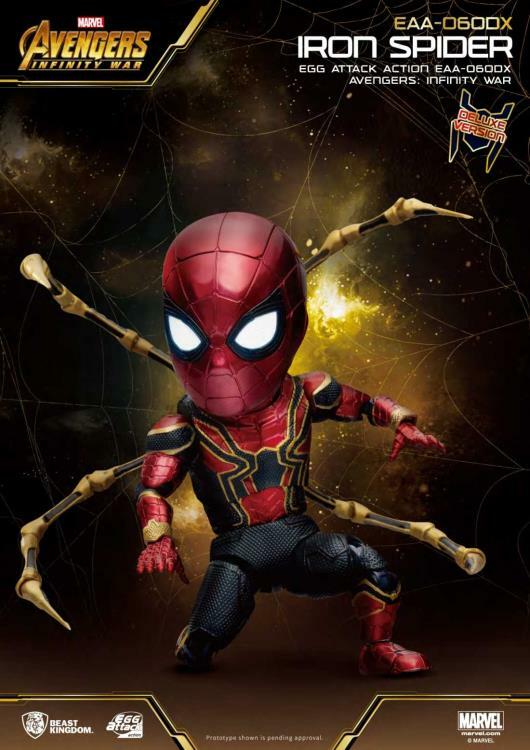 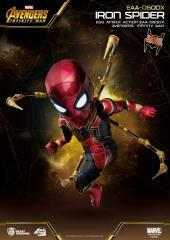 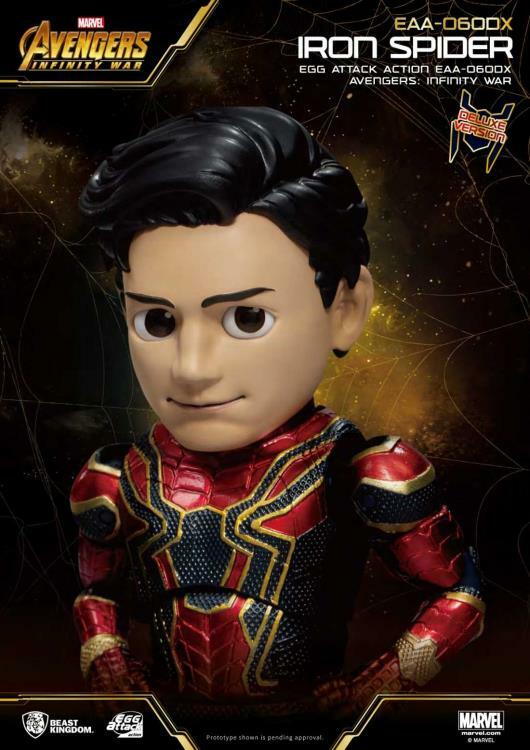 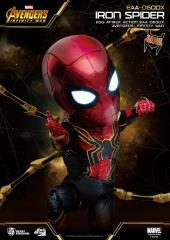 The Beast Kingdom Iron Spider also includes light up eyes on the spider head sculpt, and with 4 pairs of transparent eye pieces, Iron-Spider's HUD gives our web-slinging hero all the info he needs to save the day and make it back safely to Aunt May's!